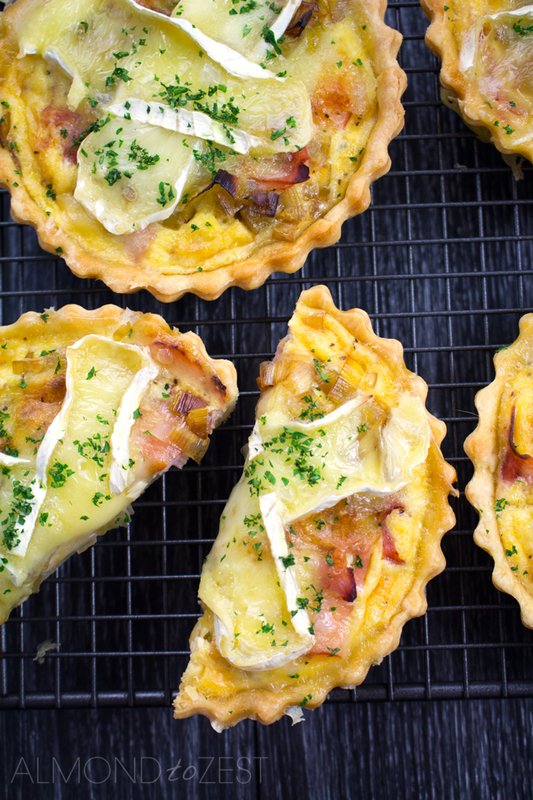 For this delicious tart/quiche recipe you will need to use our Easy 3-Step Shortcrust Pastry which is a super versatile pastry that can be used in pies, pasties, quiches and tarts! Delicious hot or cold, these tarts can be eaten at anytime of the day and once you taste the scrumptious filling you will want to be eating them all day, every day. We used this tart/quiche recipe at our café and they used to fly out the door when we made them. Nobody could resist the super short pastry shells that were made from our Easy 3-Step Shortcrust Pastry recipe and they loved all the different flavor combinations that we filled them with. But out of all the different varieties this flavor combination was always my favorite. The sweetness of the caramelized leek, the saltiness of the free-range ham and the creaminess of the brie all encased and cooked with a creamy egg mixture. I mean talk about an amazing mouth party for your taste buds. Served hot or cold. For breakfast, lunch or dinner. Served by itself or partnered with a salad. Or even with a good dollop of Tomato and Cilantro Chutney. However you chose to have it you cant go wrong. Heat oven to 350 (175C). Remove your pastry from the refrigerator and let it stand on the bench top for 10 minutes. Spray your tart pans with cooking spray. Lightly flour your bench top and gently roll out your shortcrust pastry to a thickness of around ⅛” (3mm). 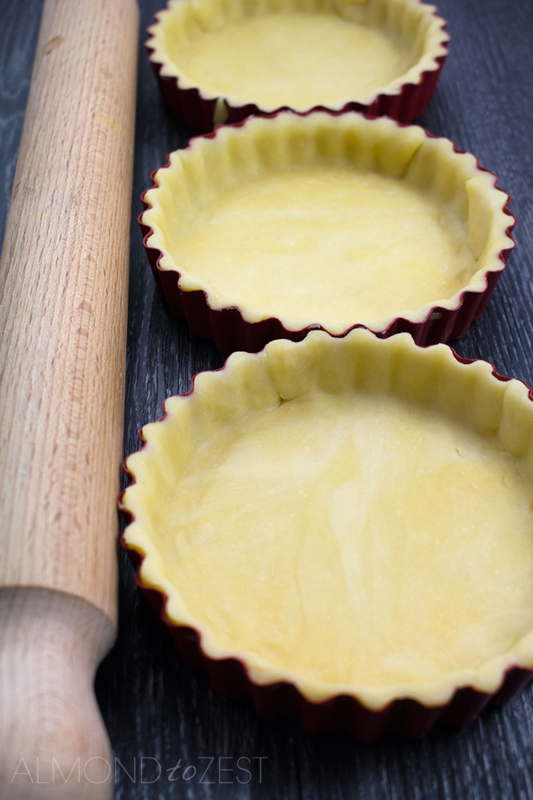 Fill each of your tart pans with pastry taking care to gently press the pastry into the corners. Place the tart pans in the refrigerator for at least half an hour. 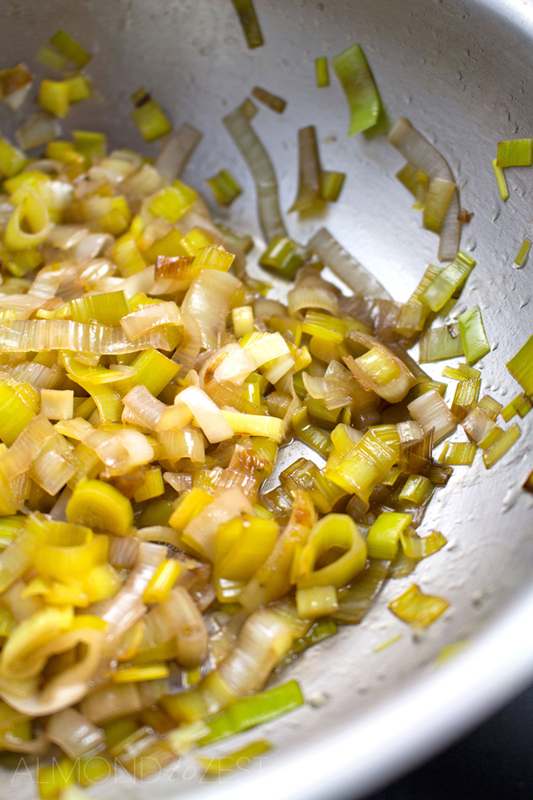 Prepare the caramelized leek. Clean the leek and peel off the top layer of skin. Cut in half lengthways then finely slice width ways. Heat the olive oil in a small saucepan over a medium heat and gently cook the leek for a few minutes until soft. Add the brown sugar and red wine vinegar. Stir for another couple of minutes until the sugar has dissolved and set aside to cool. Blind bake the chilled tart pans. Prick the bases of each tart with a fork about a dozen times evenly around the tart’s base. Place a square of parchment paper over each tart pan that is large enough that the entire tar is covered. Fill the base of the tart pans with some rice. Place on a tray and into the oven for 12 minutes. 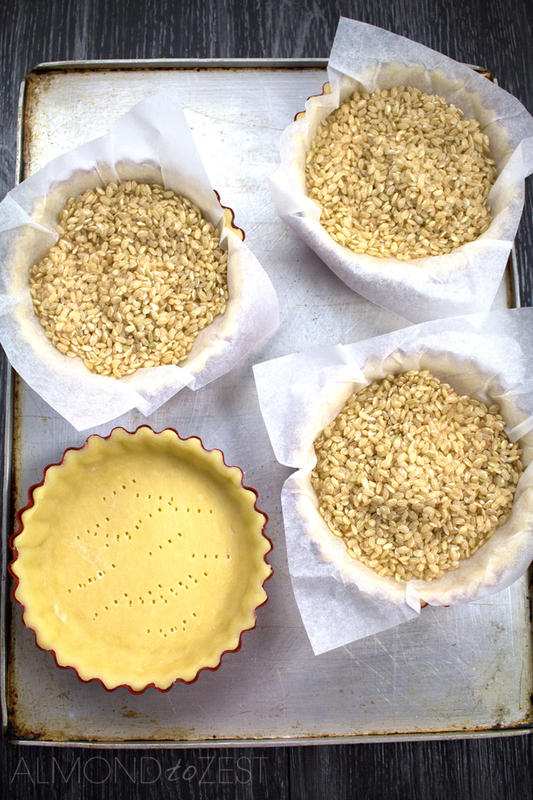 Remove the tarts from the oven, carefully remove the parchment paper taking care not to spill any of the rice into the tart pans. Return to the oven for another 5 minutes. Remove, brush the tarts with egg wash and cook for a further 3 minutes. Remove the tarts from the oven. 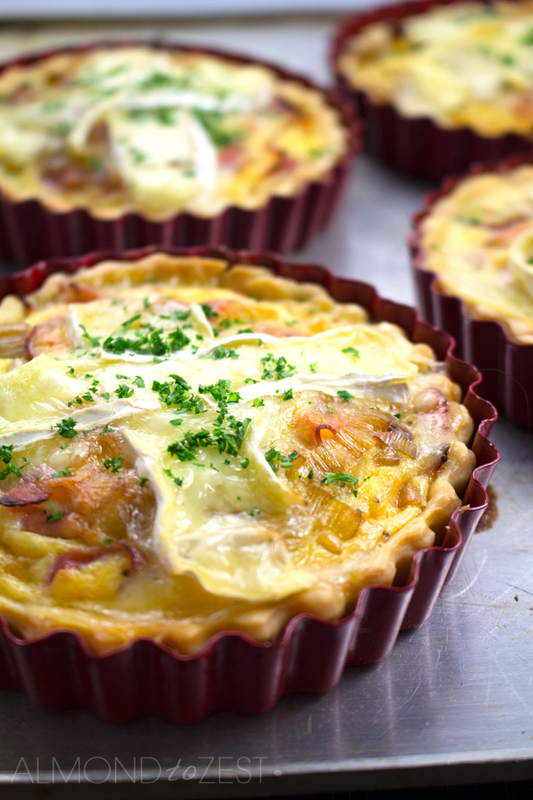 Evenly distribute the shaved ham and caramelized leek evenly among the tarts Sprinkle over the grated cheese. In a mixing bowl whisk together the 2 free range eggs, ⅓ cup of milk and ⅓ cup of cream. Season with salt and pepper. Transfer to a jug and carefully pour into the tart pans. Cook for 20 minutes. Place 2 slices of brie on the top of each tart in a cross pattern. Return to oven for another 5 minutes until the tart is just set. Cool for at least 10 minutes before removing from the tart pans. I tried this caramelized leek and ham quiche and it was divine!!! Thank you so much for sharing this delicious and easy recipe! I used pancetta cubes and did not have any brie but it was a great meal. Thank you! Hi Ingrid, pancetta in that quiche sounds really good, will have to try it! Thanks!